Truck campers have always held a special place in the hearts of RVers. There are also a variety of truck camper RV tie-down options that we will also discuss for your safety’s sake, as well as the safety of everyone else on the road. Are you still searching for the perfect holiday gift for the avid RV’ers in your life? With less than two weeks left until Christmas, last minute is truly an understatement but RV Part Shop can help! Don’t Close Up Your RV for the Winter! Enjoy It! Heading South for the Winter? Be Prepared! Canada Geese are known to escape the harsh Canadian winter with their yearly migration to the Southern USA. Many Canadian travellers are known to do the same, earning them the nickname “Snowbirds”. We’re here to save you from your burger and dog rut with some fabulous summer meal ideas, recipes and gadgets that will have you eating like RV Kings and Queens! With a hot, humid summer in full swing we thought that this would be the ideal time to fill you in with all the facts and some helpful tips about your RV’s A/C unit. 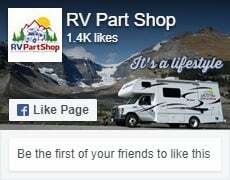 Whether you’re a proud Canuck celebrating Canada Day on July 1st or an American celebrating Independence Day on July 4th, RV Part Shop has everything you need to live your best life outdoors in the RV or at the campsite. We’ve created a crash course to help you with everything you need to know about towing Fifth Wheel RV’s. Whether you have a vinyl or acrylic awning, keeping it properly maintained will only increase its life and cause you fewer headaches. Take along your creature comforts when travelling with a way to keep them running.